Olivia from Spalding High School joined us for two weeks of work experience and has shared her thoughts about her time with us. "Since day one of my placement with Heritage Lincolnshire I was made to feel welcome and as though I was one of the team. I have spent two weeks with HTL and have thoroughly enjoyed the experience whilst growing in confidence. Even though by the end of the day I was exhausted there was never a time where there was not something to do or be part of. Throughout my first week I visited sites like Tupholme Abbey and Bolingbroke Castle which the staff maintain and care for. I have helped make packs and badges for the brand new Layers of History project as well as helping with an after school Archaeology Club. Doing work experience with Heritage Lincolnshire is such a great opportunity because not only is it interesting, but you can experience a variety of different aspects of work. 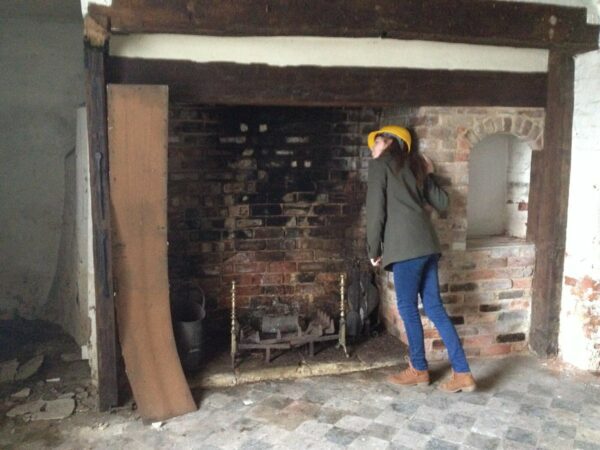 During my second week I visited The Old King’s Head at Kirton. I was able to have a hard hat tour and learnt about the history of the building. I also was told about the planning that is taking place to restore the building and the huge potential it has. On site visits like to Kirton and Tupholme Abbey, boots and outdoor clothing are sometimes required; however there is no need to worry because the staff will happily supply you with the necessary gear. Even though it can be daunting going to a new environment and meeting new people, everyone is so friendly at HTL there is no need to be nervous. My advice would be to try and make the most out the experience and if you are unsure of something or don’t understand just ask, as everyone will be willing to help. Try to talk to the new people you meet as it will help you grow in confidence. Lastly, if you are nervous don’t worry, as it is perfectly normal and most of the staff would have been in a similar position to you before!"